Betsafe - Scandinavian online bookmaker - review. Trusted Scandinavian brand which is quickly gaining worldwide popularity. Unique promotions and great social networking ideas. Betsafe is a trusted leading Scandinavian sports betting and gaming company. The website was officially launched in January 2006. This private company caters mainly to the sports betting needs of the Nordic market as well as a few other European countries such as Poland, Bulgaria or Latvia. Within a relatively short span of time, the Malta-licensed operator has already acquired more than 400.000 customers from over 100 different countries. The website itself is clearly organized and thus easy to navigate. It has a classic design with no distractions or superfluous elements. In 2007, the online bookmaker was awarded top position in TIPS Magazine’s bookmaker test. BetSafe values social networking. For this reason, you can find interesting social events and features which allow you to interact with other punters registered on the website. 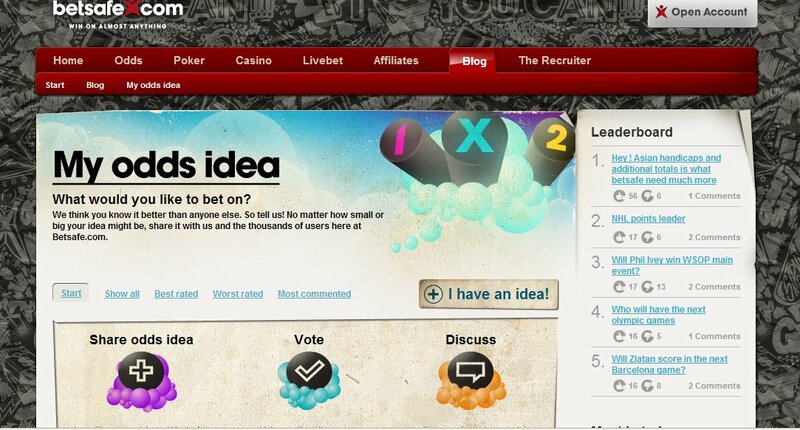 Some of the most popular features include: BetSafe Blog, My odds idea, or The Recruiter friendship program. Betsafe is also one of the few online bookmakers which is truly open to suggestions and advice from customers. These requests are always taken seriously and in many cases they are implemented. The sports betting company has an excellent 24/7 customer service and a flawless reputation in the industry. Betsafe offers a standard range of sports including football, ice hockey, bandy, handball, speedway, skiing or volleyball. For each discipline there is a wide range of events to bet on. The main focus of the sportsbook is on Nordic, Polish and Bulgarian sports events and various special bets on politics, celebrities or even weather. In the football betting section one can find major European leagues and also different Asian leagues, e.g. China, Singapore, Japan, Korea or even Uzbekistan. The Betsafe product portfolio additionally includes poker (interesting tournaments with generous prizes) and casino games (more than 100 browser-based games by Netent). 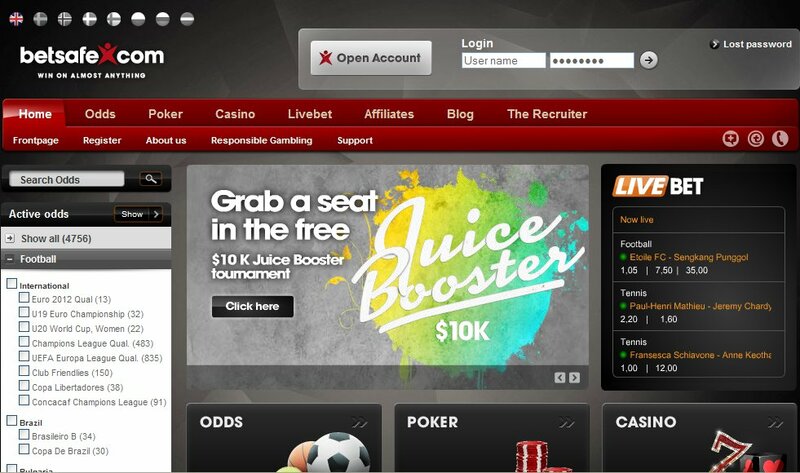 Betsafe operates a single account for sportsbook, casino and poker which means additional convenience for players. Betsafe sponsors Squash Swedish Open which is the biggest squash competition in Northern Europe. The company is also famous for their sponsorship involvement in the Gumball 3000, an international road rally taking place on public roads each year which the distance of 3,000 miles. Residents of the following countries and territories are forbidden to open account on betsafe.com: Malta, Hong Kong, Turkey, USA or any other US territory.